From the beautiful beaches to the lush forests, and rural vistas to the vibrant cities, Brazil offers millions of tourists each year a culture unlike any other. Depending on your country of origin, many visitors are required to obtain a visa before entering Brazil. So, before planning to chow down at a churrascaria for a bite of delicious steak, learn about the visa requirements, visa extensions, and visa waivers needed when planning a trip to Brazil. To help boost tourism, the Brazilian government launched an electronic visa program in 2018. The program is only available to citizens from the U.S., Canada, Japan, and Australia. The visa will allow the holder a maximum stay of 90 days per year and is valid for two years. The e-visa does not mandate an in-person appointment at a consulate and can be completed entirely online. A $40.00 application fee and $4.24 service fee are payable online with a credit card. The visa will take approximately five business days to be processed and issued. For minors under the age of eighteen, additional documents from one or both parents or legal guardian may be requested like an authorization letter. Additionally, there might be a request to provide a birth certificate with the name of both parents. If these documents are needed, the applicant must supply them within thirty days from the initial submission date. After completing the application process, there is a tracking option on the site to check on the status of the visa. Once approved, the applicant will get an email with the visa that must be shown as requested by immigration authorities when entering Brazil. It is recommended to print out a copy of the visa, however, an electronic version will be accepted. Tourists from certain countries, including the United States, Canada, Australia, China, and India, are required to obtain a tourist visa before traveling to Brazil. American citizens need a visa to enter Brazil because Brazil has a reciprocal visa policy. U.S. passport holders must apply for a visa in advance and pay a $160.00 visa fee. The visa is valid for ten years. For the most current information about visa requirements for Brazil and information about countries exempt from tourist visas to Brazil, check the official Consular website. Important: When visitors enter Brazil, they are given an embarkation/disembarkation card, a paper that will be stamped by the immigration officer. You must keep this paper and show it again when you leave the country. If you want to extend your visa, you will be asked for this paper again. If you want to extend your visa in Brazil, you may apply for an extension of an additional 90 days through the Federal Police in Brazil. You must request the extension before the expiration of the authorized stay. With an extension, tourist visa holders are allowed to stay in Brazil a maximum of 180 days over a 12-month period. Federal Police offices are located at all major airports. 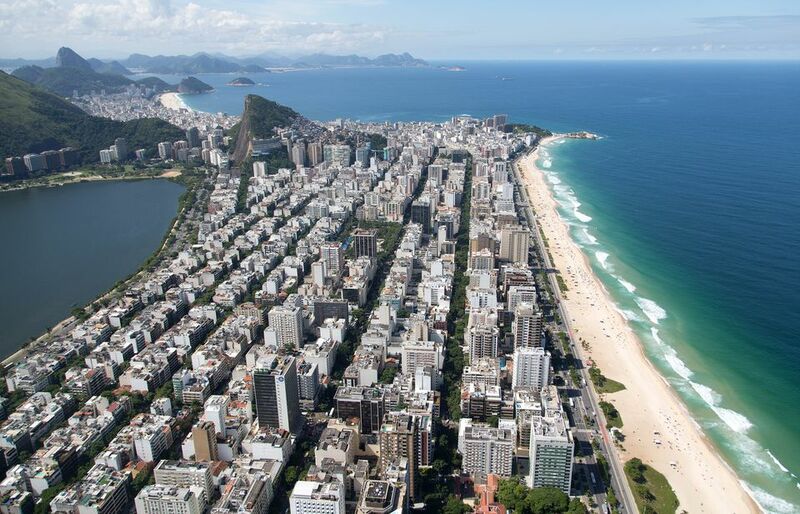 More information about applying for a visa extension in Brazil can be found here. This short-term visa is for people who plan to visit Brazil for business purposes, for example for the purpose of attending a business fair, establishing business contacts, or speaking at a conference. Those wishing to live and work in Brazil must apply for a temporary residence visa. Before applying, a job offer from a Brazilian firm must be secured, after which the company is required to apply at the Immigration Division of the Ministry of Labor. This visa application needs at least two months to be processed. Visas will also be issued to the employed person's spouse and children. For those wishing to obtain permanent residence in Brazil, there are seven categories of application for a permanent visa, which allows the visa holder to live and work in Brazil. These categories include marriage, family unification, business executives and professionals, investors and retired people. People from other countries who are over the age of 60 can apply for a permanent visa if they have a pension of at least $2,000 U.S.dollars per month. Is Your Country Exempt from Brazil Travel Visa Requirements?